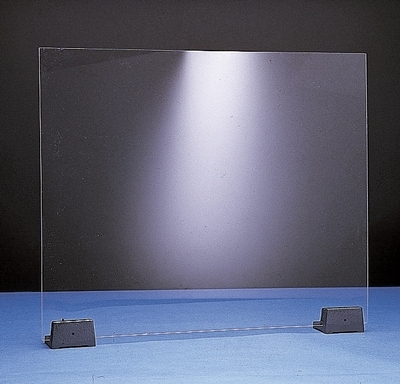 Transparent acrylic plastic safety screen, 3mm thick. Any protective polythene covering should be removed before use. Supports not provided.